Dash is BAAAACCCKKKKK and he’s giving away SIX of my books… FOR MY BIRTHDAY!!! 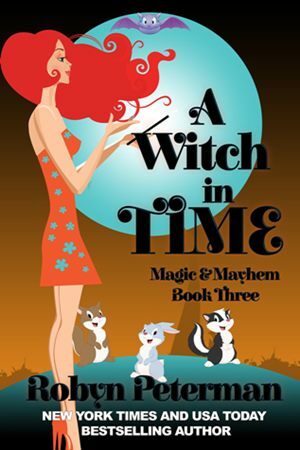 ~Switching Hour ~Witch Glitch ~A Witch In Time ~Magically Delicious ~A Tale of Two Witches AND ~Three’s A Charm!!!!! Yep, I will be fifty-blah-flonk-blah-blah this month and I want to give a lucky reader a super cool present! 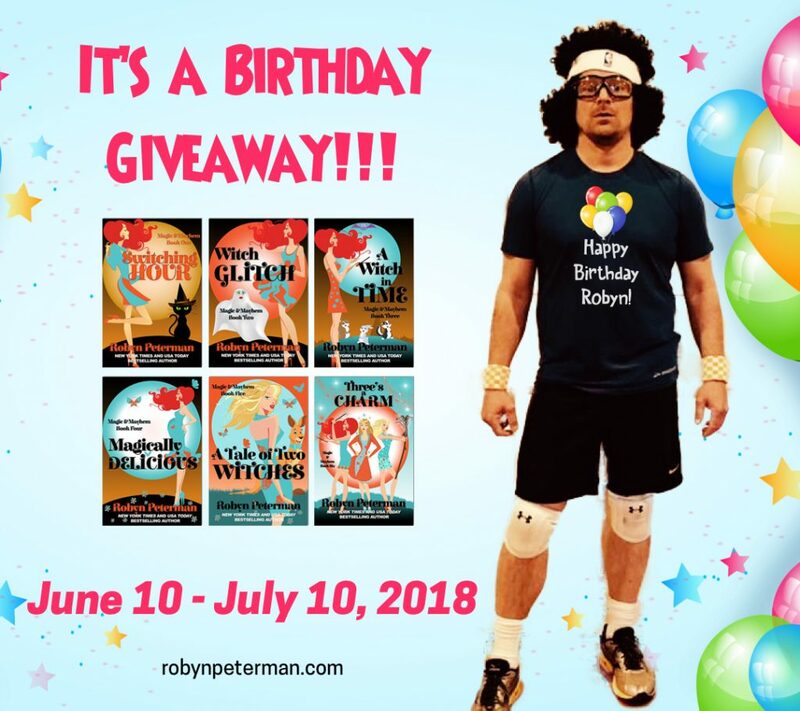 In honor of my Birthday and since Dash is such a generous if not slightly insane motherhumper, we are giving away signed paperback copies of the ENTIRE Magic and Mayhem Series—magical, hilarious and all kinds of smexy! There will be ONE lucky winner!!! I will sign them and Dash insists he will sign them too whether you want him to or not. He’s good like that. All you have to do to be in the running for an autographed copies of the ENTIRE Magic and Mayhem Seires is hit Dash’s face below and fill out the sign up!!! All winners will be selected randomly and notified by email. The contest is international. Lisa, That is exactly what I was thinking… signed by Robyn AND Dash! That is AWESOME! Happy birthday to you, I also am a June bday! I can’t wait. I am on suspense for the new book. Love ya. Wow what a truly remarkable chance. Absolutely love these books. Love your work. Happy Birthday hun!! Happy Birthday hope it’s fabulous!!! Would absolutely love to win this! My 42nd birthday is next week, and this would be an awesome present!!! Happy Birthday Robyn! Awesome prize, books signed by Robyn and Dash!! Fingers and toes crossed. Happy birthday Robyn!! Pick me!!!!! 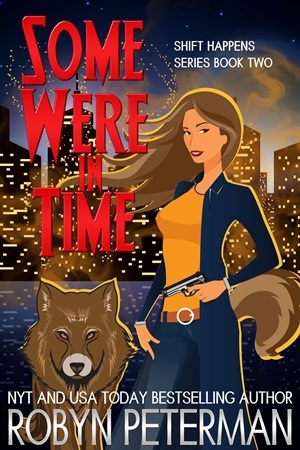 I’d love to win your books! And Dash ….. sigh…. Happy Birthday!!! Thanks so much Robyn and Dash for the amazing generous chance of these wonderful Books. I would treasure these 4ever!!! Have a very Happy Birthday, and many more. Robyn, I just love the way you write! Your thoughts and conversations are hysterical! Is dash your muse??? Yep. Dash is my muse!